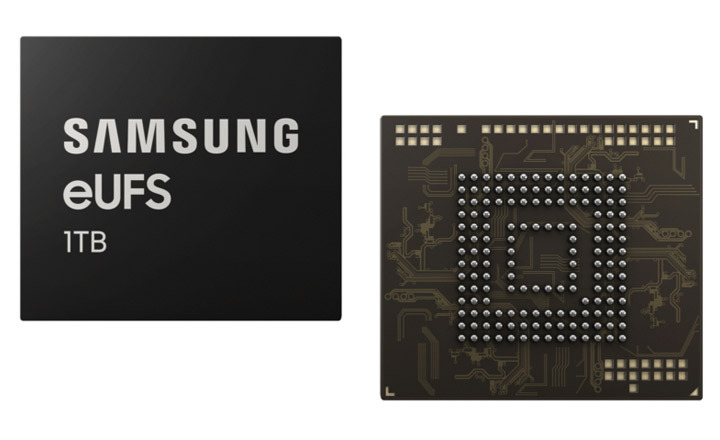 Within the same size (11.5mm x 13mm), the 1TB chip doubles the capacity of the previous 512GB version by combining 16 stacked layers of Samsung’s most advanced “V-NAND” flash memory and a newly-developed proprietary controller. Samsung is set to unveil the Next-Gen premium Galaxy S10 in San Francisco next month which may have 1TB internal storage. The 1TB chip also possesses exceptional speed, allowing users to transfer large amounts of multimedia content in significantly reduced time. At up to 1,000Mb/s, the new chip features approximately twice the sequential read speed of a typical 2.5-inch SATA SSD. The company said it plans to expand the production of its fifth-generation 512GB V-NAND chip at its Pyeongtaek plant in South Korea throughout the first half of 2019 to fully address the anticipated strong demand.